We are in 2138, the raw material resources on the Earth have been depleted. With the support of civil society the private companies have colonized the surrounding planets and utilizing their natural sources. 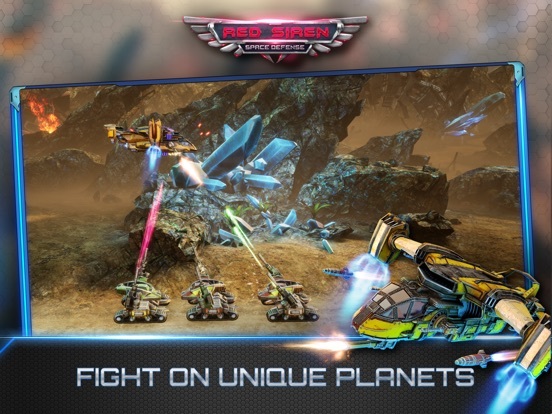 Since the mining technology is not achievable for everybody, lots of people are organized in groups and start looting the planets. 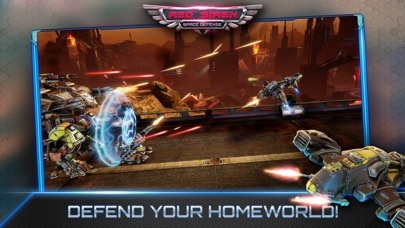 In response, the Exacorp established Red Siren squad to struggle against raiders. 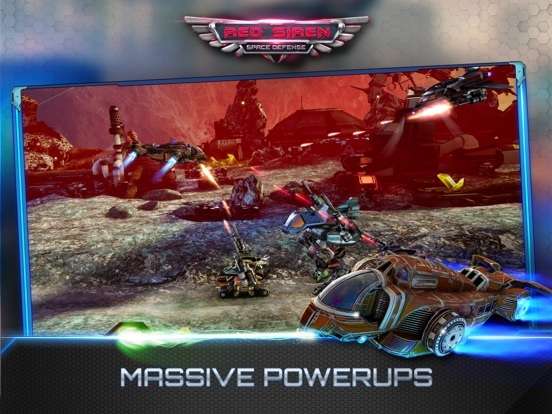 As a young soldier of the Red Siren you have to defend the bases and fight against the raiders who want to win at all costs... Red Siren: Space Defense is a space war game with futuristic robots, tanks, ships and battle machines! 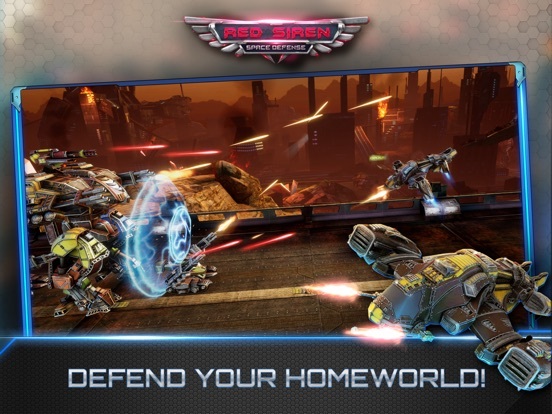 Enjoy the amazing visuals, realistic effects, exciting battles, challenging missions! 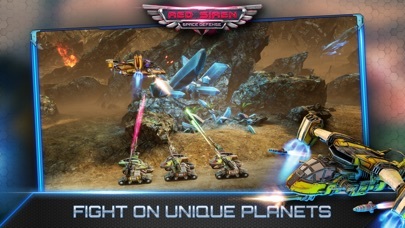 Discover marvelous planets, defend the base building, destroy all of the enemy’s robots! 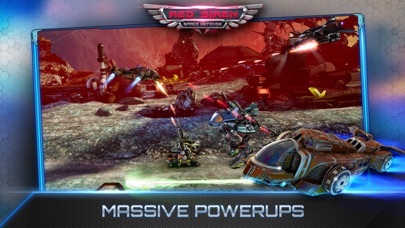 Unlock new levels in four different worlds, try every ships, weapons and upgrade them to be a real robot-destroyer! 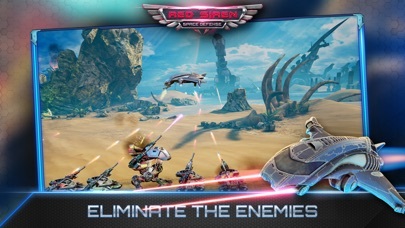 Try to demolish all of your enemies as fast as you can, accomplish the missions to get prizes! 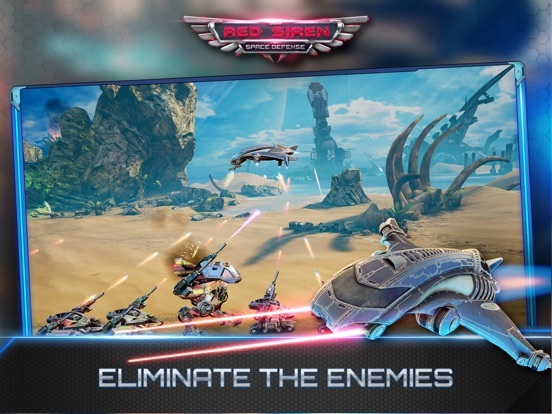 In this outworld battle you can fight against tanks, walkers and flying robots, war-planes, a loads of enemies with different arms and missiles! 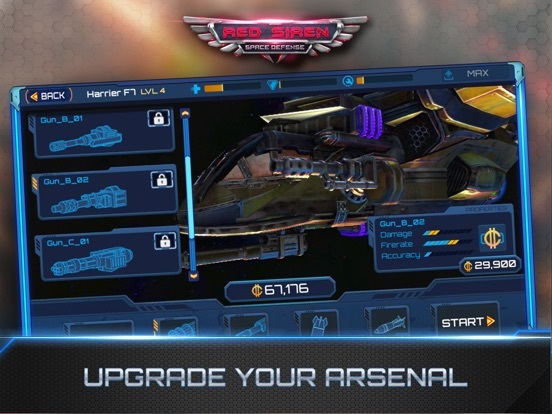 Get all of the ships and various weapons and upgrade them to raze the enemies to the ground! 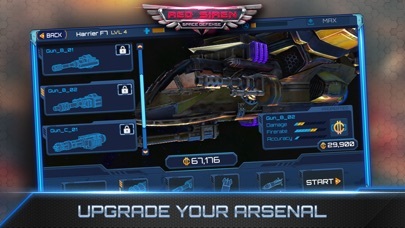 Key features: - Awesome graphic and visual effects - Lots of mechanics and robots - Multifarious ships - Various categories of weapons - Magnificent audiovisuals Tips: - Try various weapons and upgrade your fav to the max level - Complete missions to get prizes - Dodge the enemy’s ships and attack them from back - Do not be an easy target: Always keep moving your ship!